Lori's Busy Life: Braces are off!! I hope you all had a wonderful Easter!! I was sick with a cold, so I spent a lot of time resting. Josh got his braces off today. I am going to share some before and after pictures. This is Josh on the first day of school 6th grade year. You will probably have to click the picture, but his teeth were so messed up. They were really crooked and he had a cross bite. 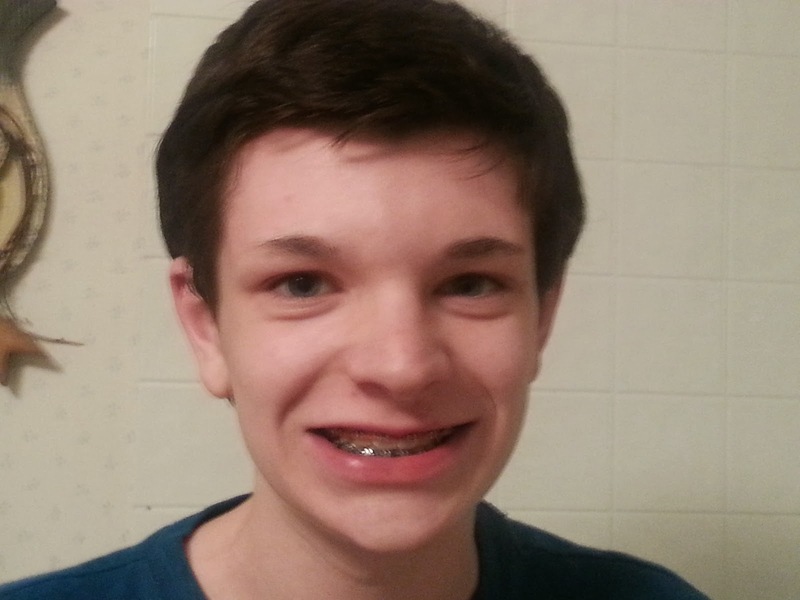 This picture is of Josh, maybe last week or so with his braces on. 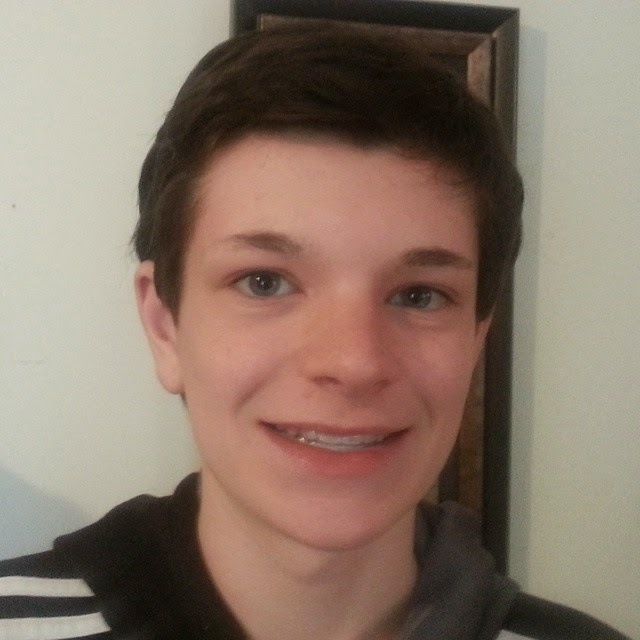 Then posted below is today with his braces off. He has to wear a clear retainer for 4 weeks, then he gets a metal retainer for 6 weeks, then he gets a different retainer for nighttime that he will probably have to always wear at least to sleep in. Anyway, I think he is happy to have them off. Have a great week! Hi Lori! He looks great! I bet he is so happy! Your site looks amazing! What a great layout! It is a big thing when braces come off. I still remember getting rid of mine after years of wearing them. I was so happy with my straight teeth! Your site look so beautiful with this design. Hi Lori. Josh is sooooooooo cute! Love the before and after pics. Hugz! HI Lori, it must be wonderful for him to have those things off! I sure do miss you! I hope your summer is going great and everything is working out ok with looking for a new job.